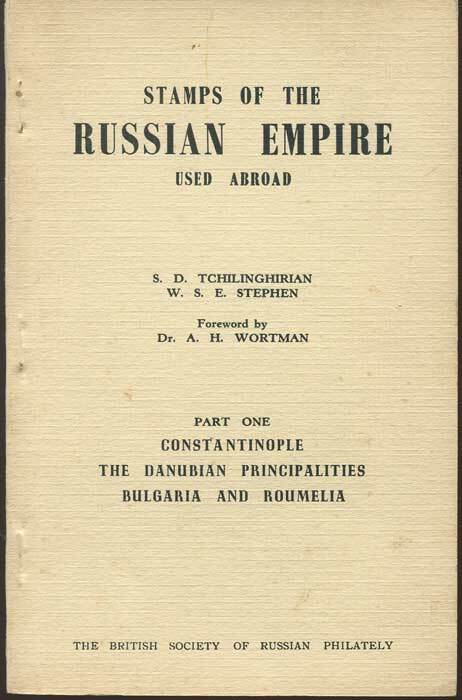 ANON Part of the Turkish Dominions in Asia. 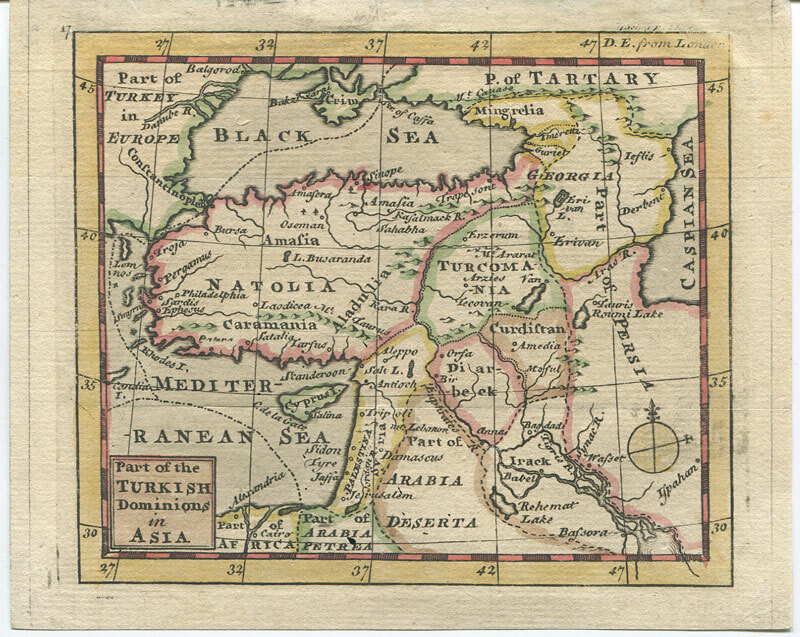 Small engraved hand coloured map, circa 1750. 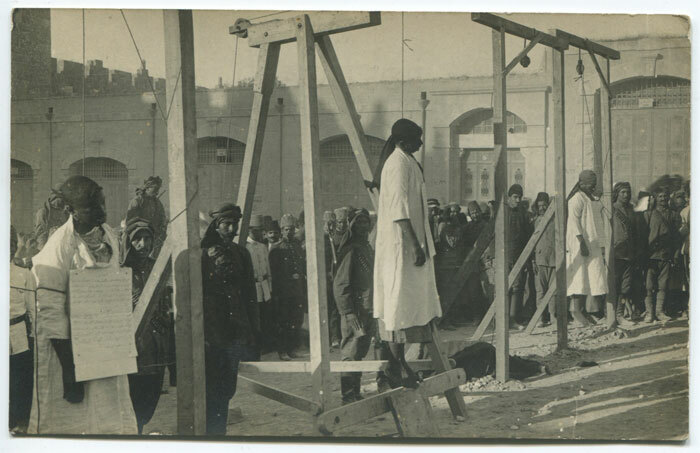 6 x 5"
JERUSALEM Execution of Christian deserters from the Turkish army, outside Damascus Gate, Jerusalem. 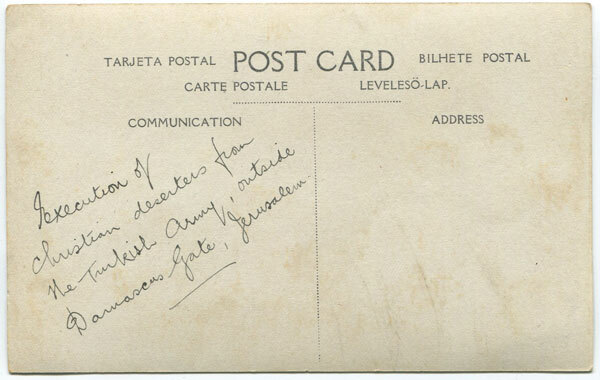 1917 (circa) Old real photo postcard, unused with m/s ink inscription on reverse. Fine. 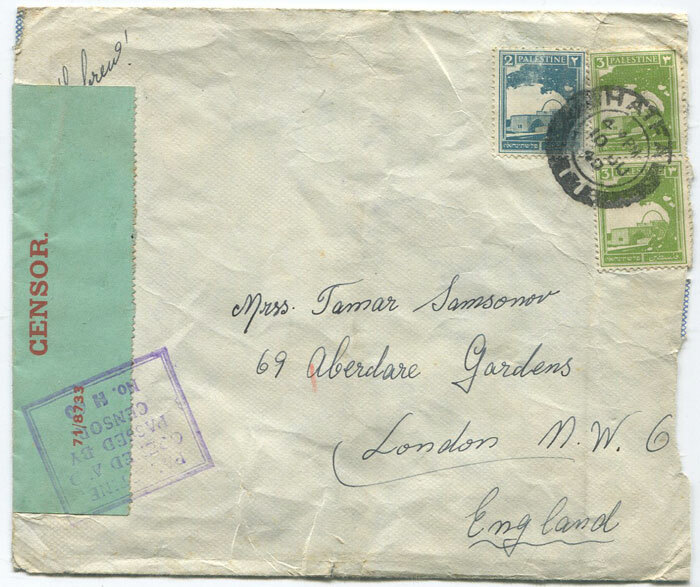 1940 (10 Jun) Palestine censored cover ti England with Palestine censor tape at left tied by boxed censor mark. Roughly opened. 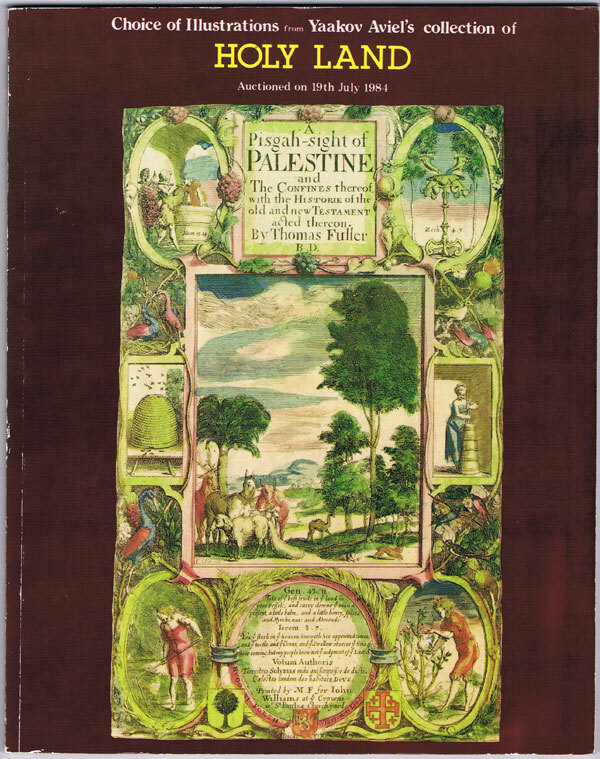 AVIEL Yaakov Choice of Illustrations from Yaakov Aviel's Collections of Holy Land. 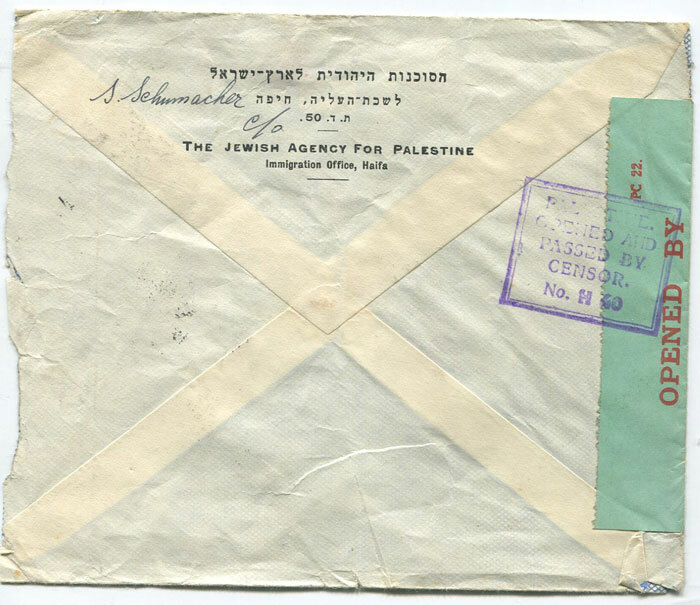 Tel Aviv 1984 xvi + 72pp. Clean in card covers.